Fixed odds betting is when you place a bet on one or more contingencies in respect of which the odds are agreed at the time the bet is placed. You pick the numbers that you think will be drawn and if you guess correctly, you will win prizes — usually in the form of cash. The size of the prize will depend on the number of balls (numbers) you guess correctly. In terms of a fixed odds bet, you are placing a bet on the likelihood that the numbers you selected might be drawn. But keep in mind, you are not buying a lottery ticket in the official draw. Fixed Odds betting is conducted through a separate licensed company, such as Lottoland, which is not connected in any way to the relevant lottery operator. Any money you win is paid out by Lottoland, not the official lottery operator. 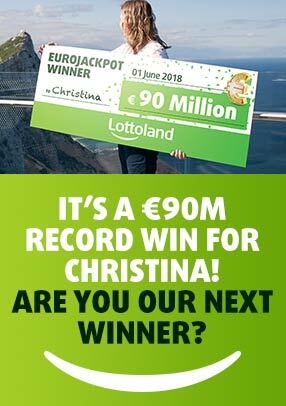 How is Lottoland able to pay out such high Prize Winning amounts? Lottoland operates an insurance model which means that each bet someone place successfully on lottoland.o.za is insured. Lottoland will pay all smaller wins directly from the revenue we receive from sales. Larger prize winnings will be covered by Lottoland’s insurance model. This insurance-based business model enables Lottoland to offer our players the ability to win huge potential payouts, matching those of lucky draw events from all over the world. Our offer is very different; for starters, we don’t sell physical tickets. Everything is done online, plus we are not connected to the relevant operator. Our betting model also gives us the freedom to offer our players promotional bets, special offers and unique features such as Double Payouts. We can also offer ‘Special Payouts’ (Tier 1 Winnings) higher than those available elsewhere. while you can bet on the biggest and best the world has to offer? At Lottoland we aim to put you in the same economic position as if you had participated in the actual draw event. For that reason if you win on Lottoland you will receive the same payouts. For more information please read the Payout Rules for each event prior to playing, to understand how much you can potentially win if there were other winning players on Lottoland.co.za or winners of the draw event. Terms and conditions apply.